YANGON : More than 80,000 young children may need treatment for malnutrition in part of western Myanmar where the army cracked down on stateless Rohingya Muslims last year, the World Food Programme (WFP) said on Wednesday. Myanmar’s security forces launched a counter-offensive in the northern part of Rakhine state after attacks by Rohingya insurgents that killed nine border police in October, 2016. About 75,000 people fled across the nearby border with Bangladesh in a crisis that marred Nobel laureate Aung San Suu Kyi’s first year in power. The United Nations has said the military committed rapes, killings and burnt down homes in what amounted to crimes against humanity. In the first detailed on-the-ground assessment of the community affected by the violence since October, the WFP interviewed 450 families in 45 villages in Maungdaw district in March and April. “The survey confirmed a worsening of the food security situation in already highly vulnerable areas (since October),” the U.N. agency said. About a third of those surveyed reported “extreme …food insecurity” such as going a day and night without eating. Not one of the children covered in the survey was getting a “minimum adequate diet,” the report said, adding that an estimated 80,500 children under the age of five would need treatment for acute malnutrition in the next year. 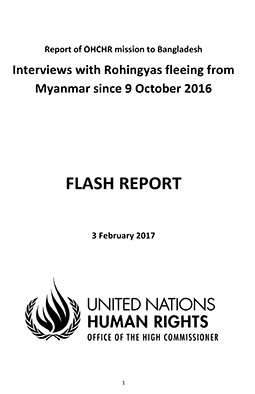 Suu Kyi’s administration is refusing to grant access to a United Nations-mandated mission tasked with investigating allegations of abuses by security forces in Rakhine and elsewhere. The WFP does not distinguish between different communities, but more than 90 percent of residents in Maungdaw are Rohingya. Many in Myanmar see the group as illegal immigrants from Bangladesh. Following the attacks, the military declared an operation zone in Maungdaw, restricting aid access and preventing locals from fishing and farming. A WFP map shows that villages where the military was most active were highly vulnerable to hunger. The report also notes that households where the men left due to security operations were more likely to go hungry. 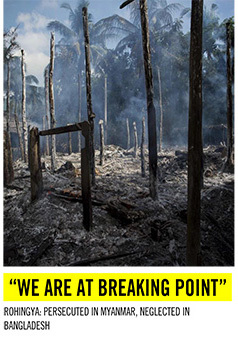 Many Rohingya men fled their homes because they believed the military would target them as suspected militants. Suu Kyi’s spokesman, Zaw Htay, said he was not familiar with the specific WFP findings, but that after initial security restrictions the government had been allowing aid agencies to operate in northern Rakhine. “The WFP is conducting many, many projects for the people in that region. The Myanmar government is allowing them to deliver food and other assistance,” he said. 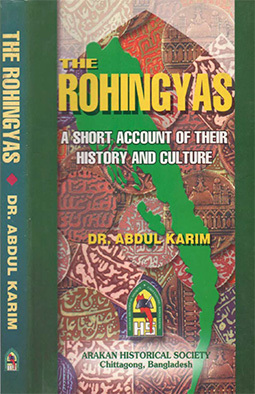 ‹ Is the on going attacks and persecution of the Rohingyas Muslim in Myanmar constitute genocide ?